Moor Park is a private residential estate in the Three Rivers District of Hertfordshire. Moor Park tube station is situated within this suburban area. The access to Moor Park tube station is via a culvert that carries the main vehicular access to the Moor Park station and adjacent car park area. 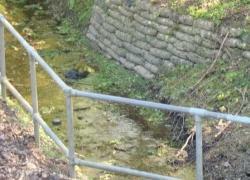 The culvert spans a waterway which runs along the train line, which is surrounded by dense trees and vegetation. Periodically the shrubbery, branches and build up of vegetation block the waterway route beneath the culvert and create saturated ground conditions and minor flooding to the local area. 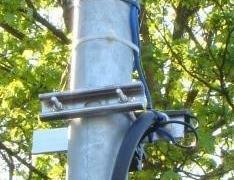 The build up of vegetation could not be gauged to any certain degree; therefore it was necessary to mount a camera in the vegetation near the car park area to be able to see when maintenance was required to be completed. The major obstacle to overcome was to ensure that a suitable position could be found in the vegetation area to be able to mount a camera. Furthermore that position needed to be high enough to be able to get a good view of the culvert and waterway to ensure that it could be determined when the waterway and local area were showing signs of water displacement. 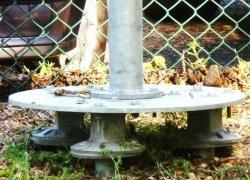 result ASIL provided a detail of a 4m column that was erected on a triangular formation of the patented anchor posts to mount the column. The installed site was very congested and difficult to access. 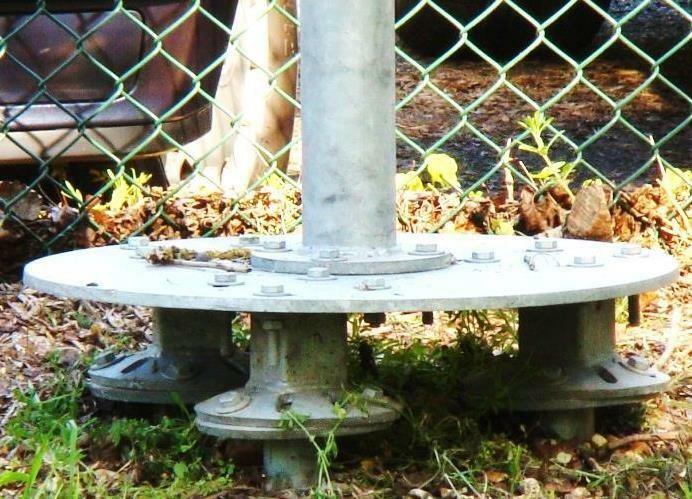 The anchor posts provided the perfect solution and best benefit in ensuring that minimal plant and equipment could be used to install the Sentinel Post. The installation location is defined as a conservation area therefore no concrete or mortars could be used during the installation. The installation occurred in significantly less time than would have been encountered with the use of environmentally challenged wet trades. 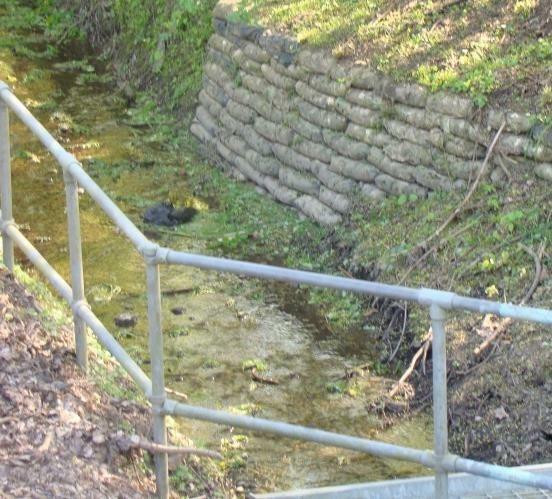 The Moor Park culvert is now monitored for waterway congestion and this has led to savings based on providing real time maintenance when congestion of the waterway is observed, as opposed to periodic maintenance periods which may be avoided as they are not required.